May reduce the risk of heart disease by lowering cholesterol. 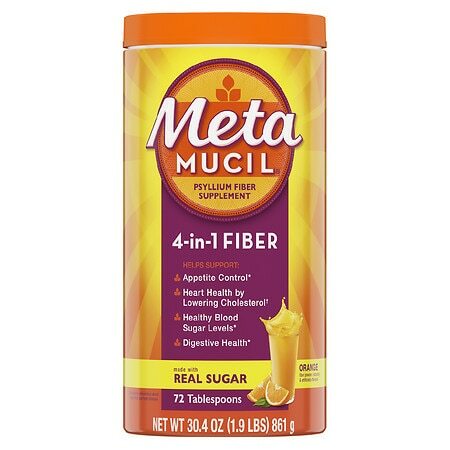 Effective in treating occasional constipation and restoring regularity. 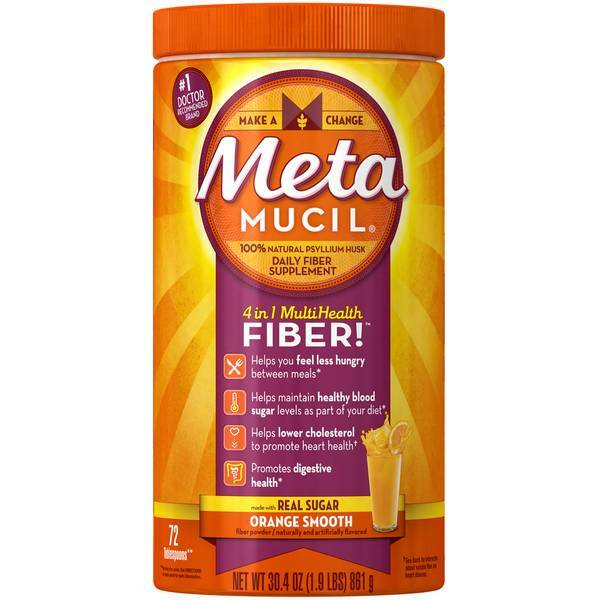 Metamucil MultiHealth Daily Fiber Supplement Powder Orange Smooth - 30.4 oz.